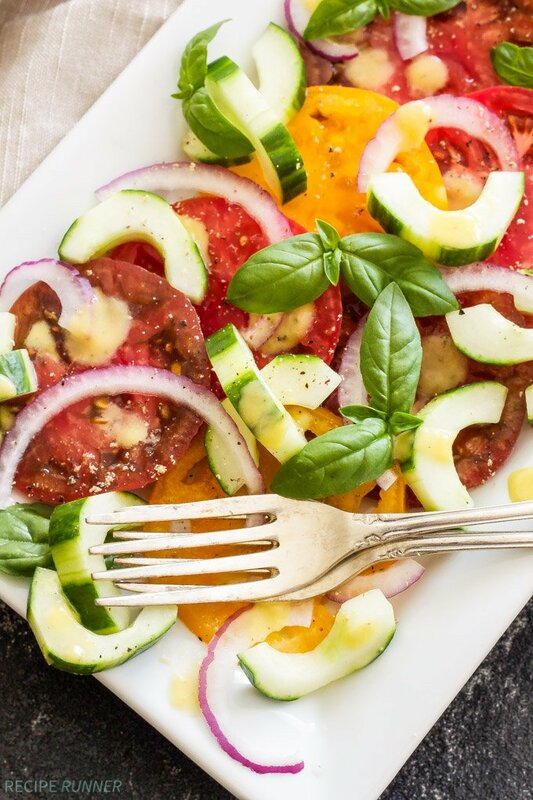 Take advantage of fresh summer produce and make this Heirloom Tomato Cucumber Salad with Peach Vinaigrette! 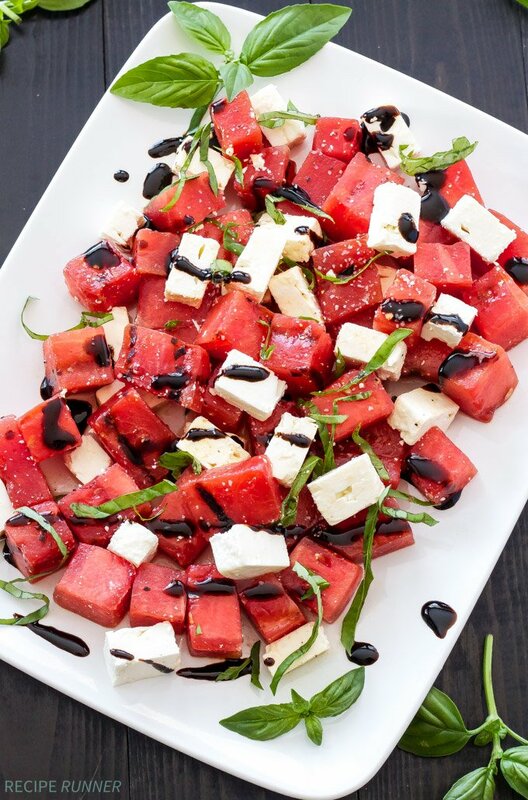 Fresh simple ingredients, but full of flavor, it’s sure to become your favorite summer salad! This week just flew by! Of course it helps when Monday is a holiday and then you go out of town until Wednesday. Two day work week for the win, I wish they could all be like that. After a week of eating and drinking way too much, I’m in need of healthy, light meals. I know, probably not what you were hoping for on a Friday. I’ll save the frozen margarita recipe for next Friday, when I’m back on track. 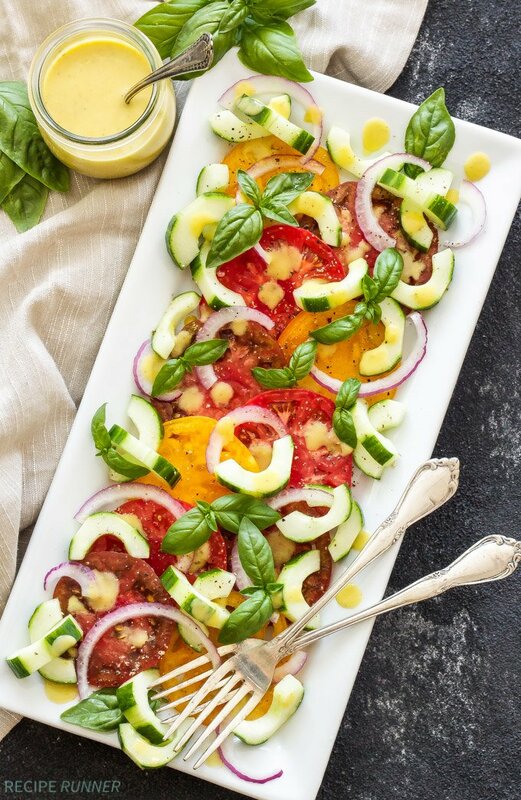 Until then, I’m taking advantage of all the amazing summer produce and sharing this easy recipe for Heirloom Tomato Cucumber Salad with Peach Vinaigrette! Until all four of my tomato plants start producing (I may have gone a little overboard), I’m still having to buy them. I rarely put tomatoes in a salad because usually they are just a big disappointment. Mealy and flavorless with tough skins…no thanks, I’ll pass. Heirloom tomatoes I generally have better luck with, plus I am obsessed with their colors and imperfect shapes. 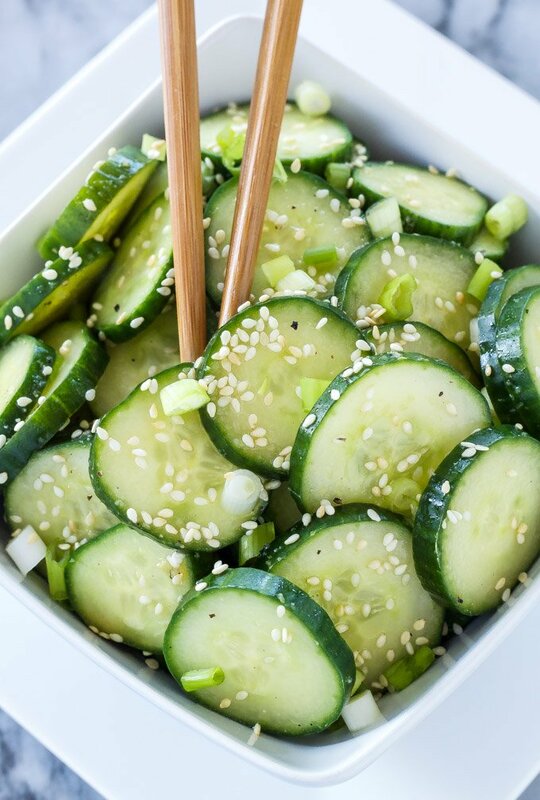 All of the different colors make for one beautiful looking salad! To go with the heirloom tomatoes I also added crisp English cucumbers. 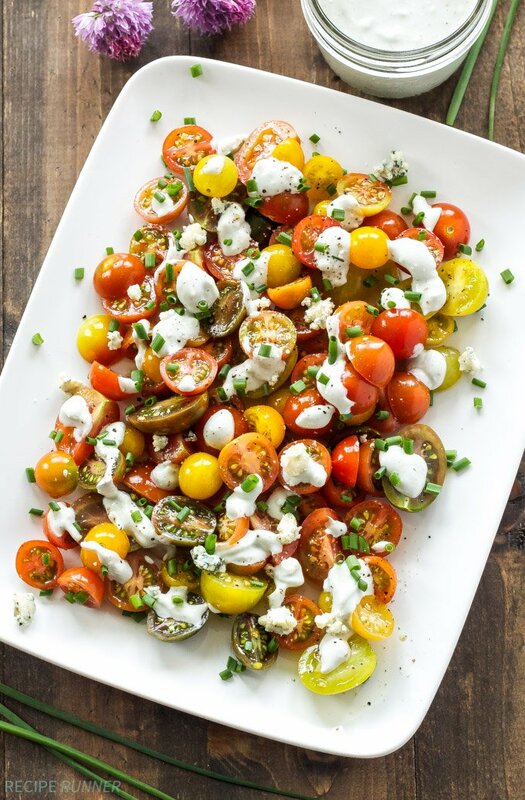 They give the salad the crunch and texture that it needs with those soft tomatoes. Where there’s a tomato salad there must be fresh basil! 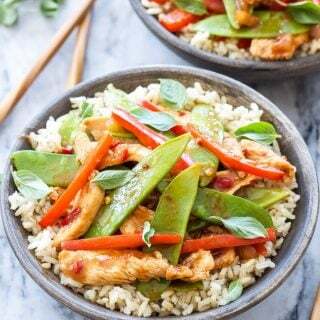 The basil adds a delicious anise flavor that pairs wonderfully with the sweetness of the tomatoes and the peach vinaigrette. I can’t even describe how happy I am that peach season is finally here! I hope you guys like peaches, because you’ll be seeing quite a few recipes using them over the next couple months. I thought I’d start out slow and subtle, and this peach vinaigrette was the perfect way to do it. 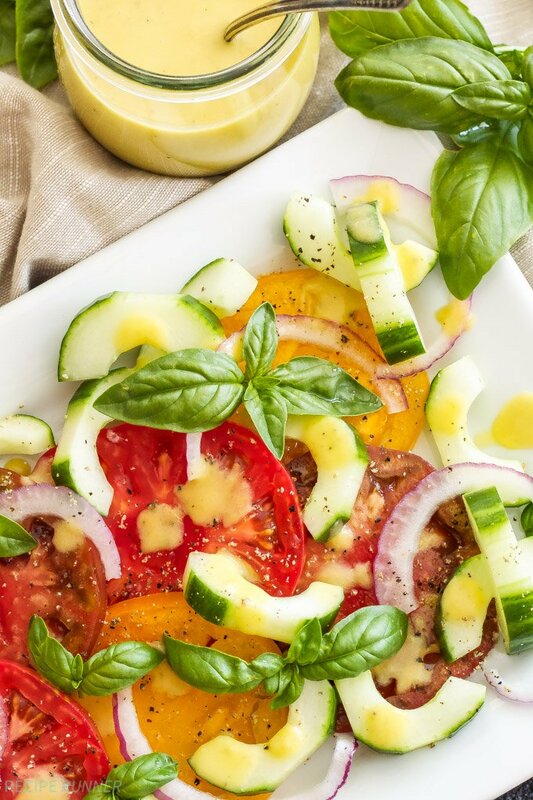 The vinaigrette uses a fresh peach, white balsamic vinegar, olive oil and fresh basil. Not only does the peach add sweetness and a lovely peach flavor, but it also acts as a thickener for the vinaigrette. 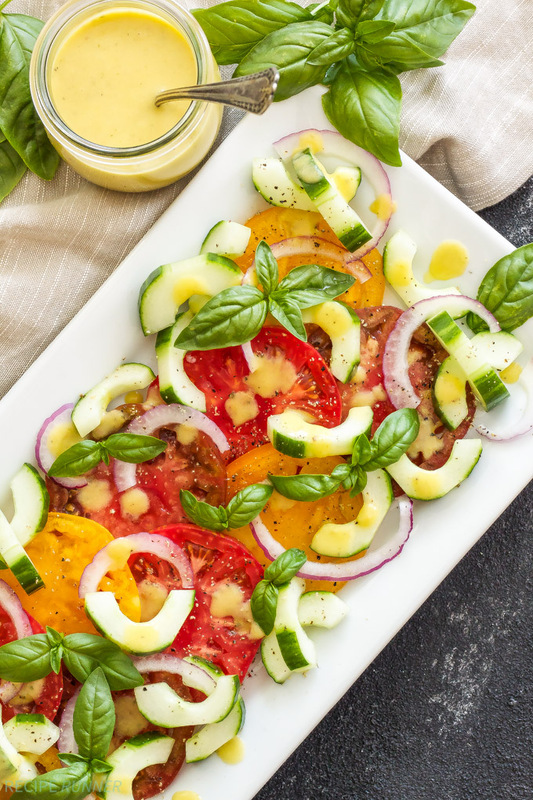 The peach and basil flavors go so well together and it’s the perfect dressing for the the heirloom tomato cucumber salad! Combine all of the ingredients for the vinaigrette in a blender and blend until smooth. 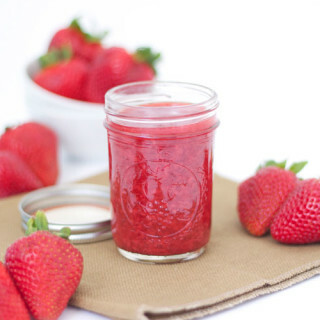 Pour into a jar or other airtight container and refrigerate until ready to use. Arrange the tomatoes, cucumber, red onion and basil on a serving plate. Season with kosher salt, black pepper and some of the peach vinaigrette. 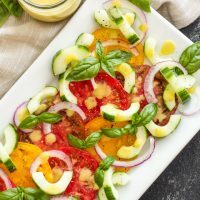 This is a seriously gorgeous summer salad! LOVE! This is just all sorts of gorgeous! And the vinaigrette is so perfect this time of year - delicious! The vinaigrette was amazing! Thanks Patricia! 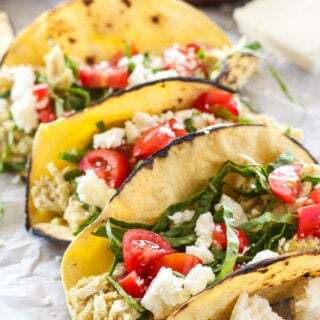 These sounds incredible and looks so delicious! Must try soon! I saw this recipe over on Twitter and had to stop by to say how fantastic it looks.